Karen is a young specialist in chemistry, assigned to the Department of Forensic Services of the Nayarit District Attorney’s Office. Her work consists in studying the DNA of murder victims in hopes of at least identifying them. Nevertheless, for more than a year she has not been able to study a single DNA sample from the bodies found in Nayarit, because in her laboratory the only device in operation is a domestic refrigerator. There, the specialist has preserved “between 500 and 600 genetic samples” with the idea that some day she might be able to analyze them. If the refrigerator breaks down or if there were an extended blackout, the samples would be lost, along with the possibility of identifying the victims and — of course — actually undertaking an investigation of those crimes. "At the moment, the only thing we do here is take samples, from relatives (of missing persons) or from the corpses,” Karen admits, in a resigned though not indifferent tone of voice. In just the first two months of 2018, 41 unidentified bodies were found in clandestine graves in Nayarit, adding 41 DNA samples to Karen’s refrigerator (not her real name to protect her identity). A few meters away, the femur of a victim lies on a table in her lab. It came from the clandestine gravesite, and the young specialist has carefully sawed off a small section so as to be able to remove bone marrow samples. That sample, she insists, should be subject to study with a “DNA tracker,” a device that stopped working a year ago due to lack of maintenance. It sits abandoned next to the refrigerator. Even if that device worked, the DNA analysis still might not be performed, because the chemical substances with which the tracker operates, expired before it broke down and they were never replaced. That’s why, Karen says, her daily routine is to take samples, put them inside a plastic container and then place them in the refrigerator. That’s all the authorities in Nayarit can do at them moment by way of trying to identify victims. The state’s Forensics Services Department lacks almost everything, confesses Gerardo Santana, the head of the department. His predecessors, he reveals, used the budget in “phony purchases, for which the corresponding complaints have recently been filed." In other cases, Santana explains, the Attorney General’s Office purchased expensive specialized equipment that has never worked. One such item cost 17 million pesos in 2013, but it has only been good for collecting dust. It was never even plugged in. This is, unfortunately, an age-old practice. Eighteen years ago, Santana says, state officials purchased three mortuary refrigerators that were never used and they ended up becoming little more than scrap. Today, he says, there is a plan to salvage those pieces of junk, if only there was money to repair them. 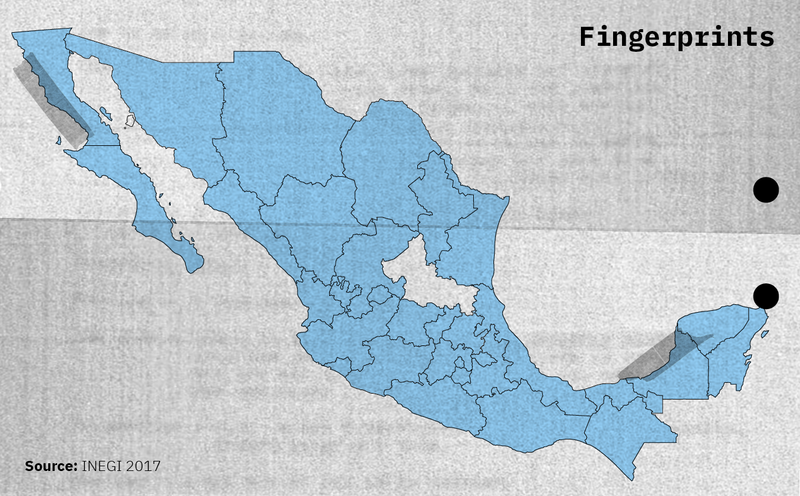 But in the Mexican map of criminal investigations, the focus of the second article in this series, Nayarit is not an exception, it is just another example of the reality faced by every state. 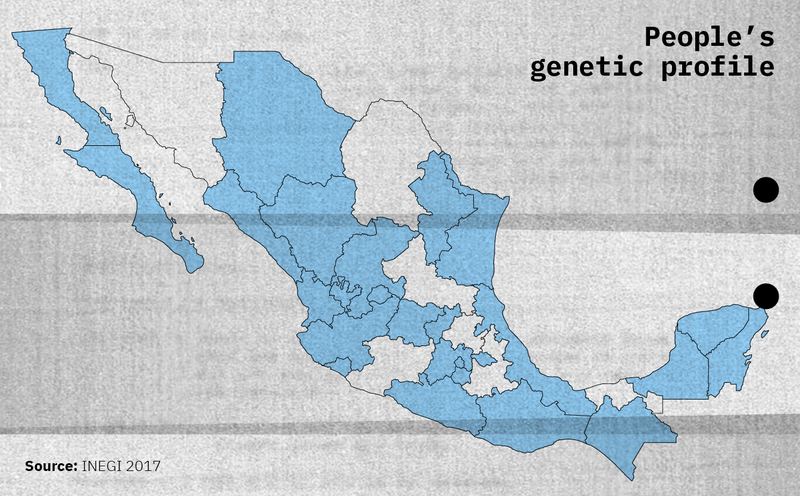 Information compiled by the National Statistics and Geography Institute (INEGI, for its acronym in Spanish) shows that in April 20 states did not have access to a data bank of biological waste recovered from crime scenes. This deficiency makes it impossible to track the presence of specific people (victims or perpetrators) at crime scenes in different places or at different times. Moreover, seven states do not have data banks of genetic profiles, so they cannot identify victims from missing people reports nor can they identify criminals that leave DNA evidence at crime scenes. In 11 states, the identification system known as Ante Mortem/Post Mortem (AM/PM) that was purchased by the federal government five years ago has not been put in operation yet. Another three states do not have a ballistics database to analyze firearms, cartridge shells or explosives. And in 21 states, the Integrated Ballistics Information System (Ibis, for its acronym in English), a technology purchased by the federal authorities six years ago in order to track weapons and ammunition used in crimes in Mexico and abroad, remains inoperable. Which states have databases on forensics information? Gabriel Gutiérrez González is an agent in the Public Prosecutor’s Office in the State of Mexico, where the homicide rate was 11 murders per 100,000 inhabitants in 2017. In this state, Gabriel admits, “for every 10 homicides, we only manage to compile one investigation file and, thus, move to prosecute it.” In other words, only 1 in 10 cases sees a suspect brought before a judge for trial. He later provides examples of the shortages his office faces: “At the outset, we didn’t even have gloves to handle evidence. There are no vehicles to get to crime scenes and when there are vehicles, there is no gas." Government records reveal that the State of Mexico District Attorney’s Office has 1 patrol car for every 3 public officers involved in investigating crimes. And in 12 other states, the ratio is 1 patrol for every 4 agents. There are extreme cases such as Guerrero, where the state District Attorney’s Office has 1 patrol car for every 7 officials involved in the chain of command, or Coahuila, where there are 2 official vehicles for every 13 officials. 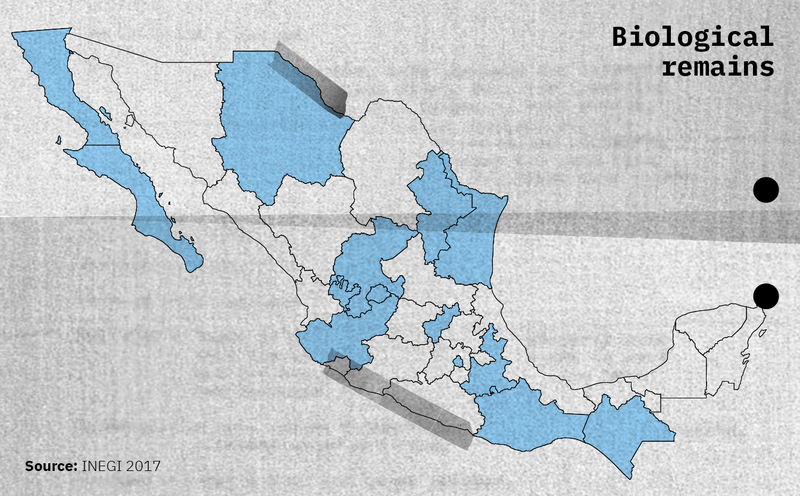 According to official INEGI statistics, only two states “break even”: Jalisco and Chihuahua. Each state has nearly 1 vehicle for each investigator, agent or specialist. But the numbers, Gabriel insists, offer an embellished reality, because not every existing unit at the prosecutors’ offices is really at the disposal of the personnel in charge of investigating. So the other patrol car is available for agency personnel, but if they want to use it they must pay for gas out-of-pocket. Therefore, he laments, many times a crime occurs in his jurisdiction, he is forced to travel by public transportation. The result: the impunity index in the State of Mexico for murder cases stands at 97%. 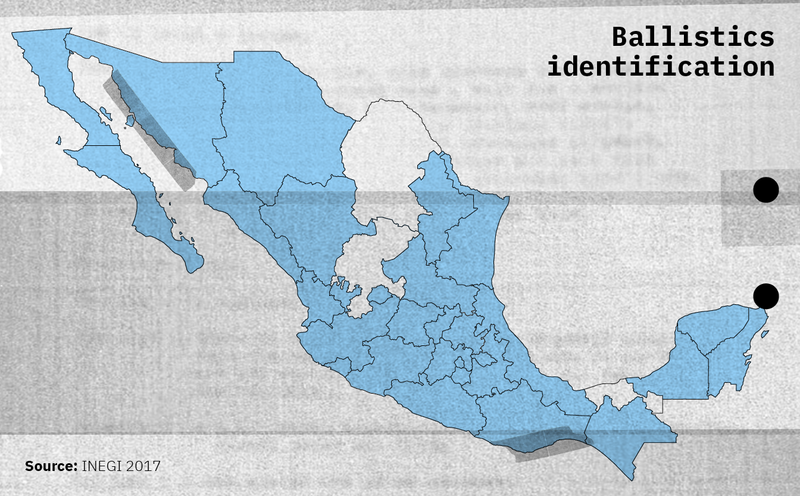 The states of Nayarit and Jalisco are linked by geography, a common history and growing violence: In 2017 alone, the neighboring states registered 300 murders more than the year before. 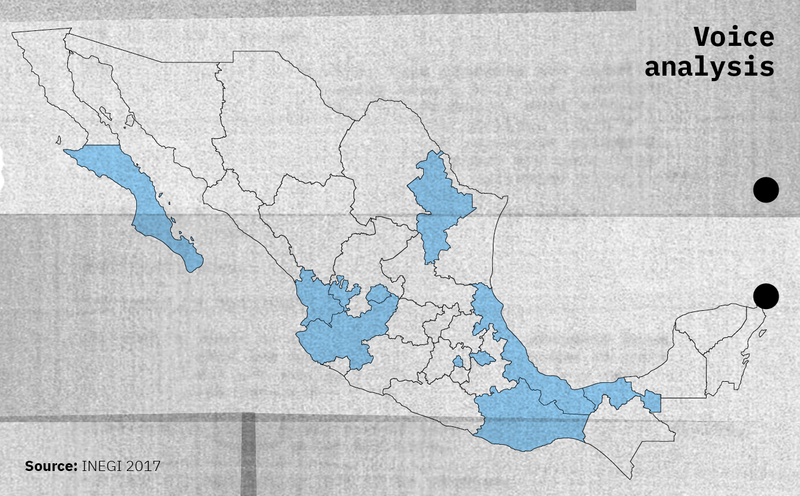 In the case of Jalisco, that represented an increase of 20% in the homicidal violence in a single year. For Nayarit, the total was a 747% increase! Despite these commonalities, there’s a wide chasm with regard to the science available for the states in their quest for justice: In Jalisco, when a person is accused of committing a crime with a firearm, a “scanning electron microscope” is used. This is high-tech equipment that can identify barium and lead residue to determine if the suspect fired a weapon. Guillermina Sandoval, coordinator of the chemistry lab at the Forensics Institute of Jalisco, explains that the device takes a picture of microscopic particles, which can then be analyzed their composition and distinguish if they were created by a firearm or by something entirely different. On the other hand, in Nayarit, the Forensics Services Chemistry Lab uses a light-gun, an old pointing device that can detect barium and lead residue but does not distinguish how they might have been produced (by firing a gun or from environmental contamination). That difference may determine whether an innocent person stays free or goes to jail. According to official records, Jalisco, Mexico City and Veracruz are the entities with the most laboratories devoted to criminal investigation, specializing in either exact sciences (i.e., biology, chemistry, genetics, medicine), or forensic sciences (i.e., ballistics, criminalistics, toxicology, craniofacial reconstruction, or composite sketching). Forensics services in Mexico City count on 30 specialties, those in Veracruz have 27 and those in Jalisco, 26. But the expert services in another 13 states only have laboratories focusing on 5 specialties or fewer. In fact, Hidalgo officials report the existence of only one specialized lab. But even in those few states with state-of-the-art technology – Jalisco, Mexico City, Veracruz – it is insufficient in the face of the high demand for specialized services due to rising violence in Mexico. In Jalisco, for example, they have only one specialist and one scanning electron microscope, when the daily reports of gun violence suggests a need for five microscopes and five experts to manage the cases. The budget each state allocates for prosecuting crimes exposes further significant differences between states, specifically regarding the material resources made available. If, for example, the overall 2017 budget allocations in forensics services was divided by the number of murders that year by state, the average resources available per case would be equal to 1.1 million pesos in Yucatán, where the homicide rate is 2 cases per 100,000 residents. But in Guerrero — where the 2017 homicide rate was 64 cases per 100,000 residents — the budget would only be enough for 4,732 pesos for each investigation. In Oaxaca, with a rate of 22 murders per 100,000 people, the forensics budget would be equal to 5,301 pesos for each case; in Tamaulipas, it would be 7,210 pesos. *Mexico City, Puebla, Aguascalientes, Campeche, Guanajuato, Nayarit, Coahuila and Colima did not provide the information requested. *An estimate calculated by Animal Político. Leer más. When comparing the yearly budget of forensic services of each state in 2017 with the number of murder victims in the same year. In reality, the amount spent may be less, because the budget not only includes forensic experts investigating murder but also specialists investigating other crimes, and their salaries. Across the country from 2010 to 2014, at least 1,281 bodies were found in clandestine graves, according to the survey “Violence and terror: Discoveries of clandestine graves in Mexico,” published in 2017 by the Ibero-American University. Most of those cases are never even investigated, says a specialist who works for the Homicide Department of the Mexico City Attorney General’s Office. The agent — whose identity will remain anonymous – says that’s because an investigation can’t begin until the body is identified. If we don’t know the identity of the murder victim, “that case is put on hold and is only re-opened if we identify the victim." 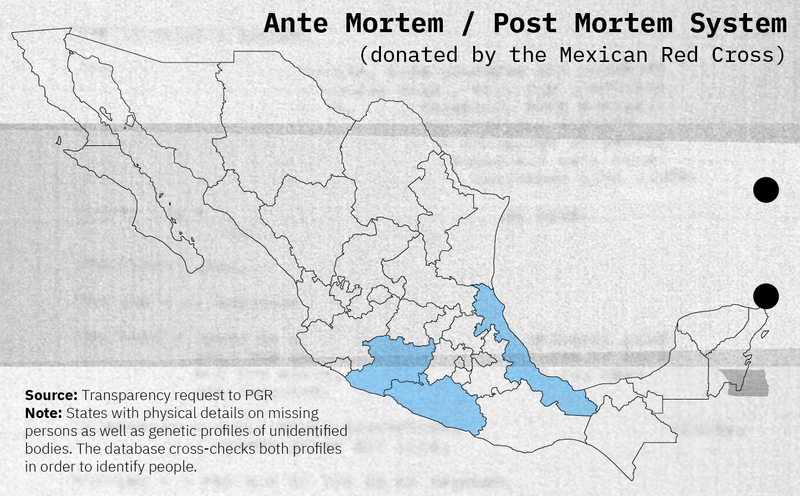 In Mexico there are at least 35,000 unidentified victims and they are stored at the Forensic Medical Services or buried in common graves managed by state authorities, according to information provided in April 2018 by the deputy secretary for Human Rights at the Interior Ministry, Rafael Adrián Avante Juárez. In other words, there are 35,000 uninvestigated deaths. At the same time, the National Public Security System acknowledges that there are at least 38,435 missing persons cases piled up across the nation. What he failed to admit is that in 2013, the Mexican government purchased the technology to perform such data cross-checking but, to date, the process has not even begun. Reports from the Federal Attorney General’s Office reveal that out of 32 states, only three have input information into the Ante Mortem / Post Mortem (AM/PM) system since its purchase five years ago. According to those reports, only one genetic sample has been taken from each of 556 unidentified bodies — out of the 35,000 recognized by the authorities — to compare them with samples from missing people. Even worse: of the more than 38,000 families that have filed a missing persons report, the authorities have only taken samples from 2,895 for entry into the AM/PM system. In her genetics laboratory, Karen – the person in charge of this area in the Forensics Services of Nayarit – says that a drop of saliva, a speck of dust, even the smallest particle could contaminate the DNA samples she has stored and they would be rendered useless. Nevertheless, the tools they have to manage this risk are laughable: a pair of latex gloves and a facemask. The human femur Karen has been working on comes from a grave which was filled with the bodily fluids of the corpses buried there.